Oh I am all about scooters at the monent! Loving our scooter time! My little tester Harry has been enjoying the Mixi scooter we have been sent to review. It is SO clever . 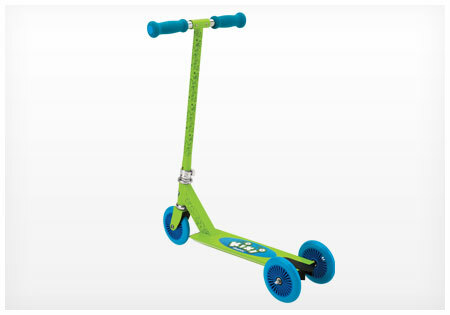 Here it is with three wheels for a little one that needs a bit of security and stability – a perfect first scooter. But rather than you having to go and buy another scooter after a few months this one adapts as you go. Ta da! 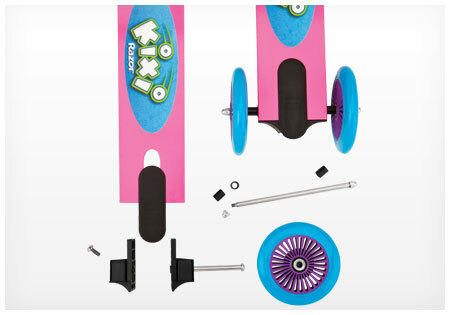 A slight adjustment and the Kixi Mixi becomes a two wheel now that is clever right! Cost effective too because you aren’t buying two scooters. And if they decide after all they aren’t quite ready for the big kids scooter you just change it back. 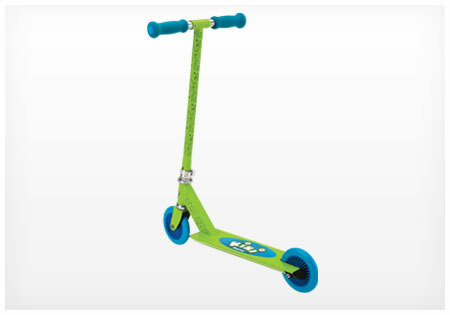 It is a good quality scooter, really attractive and so practical.The Mixi comes in green or pink and it is simple to alter. It really is a fab idea! Really well constructed of aircraft grade aluminium Harry and his mum and dad were delighted with this very stylish and useful scooter! His 6 year old brother loves to jump on it too!